Do you need Tulsa Managed Services? 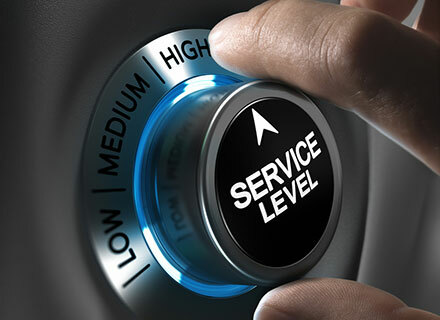 Rather than wait until your business suffers a major computer or network disaster and have to call and wait for IT assistance, our Managed Services can monitor your networks, computers, website, and servers so that your issues are resolved before they even happen. This proactive approach keeps your business running smoothly, saving time and money. We offer Managed Service Contracts for small businesses in Tulsa and the surrounding areas. A Managed Services Contract is an agreement with a Managed Service provider for IT support. This usually encompasses remote monitoring of computers, servers, and networks as well as 24x7 support via email, telephone, and remote sessions. Some companies do charge an extra fee past normal business hours. You’ll have access to on-site support if the problem can’t be fixed remotely. Each workstation and server will have an agent, such as one offered by LabTech, installed on it to report back critical information in keeping your IT infrastructure running smoothly. How can my business benefit from a Managed Service Provider? Many small to medium-size businesses can’t afford a full IT department. Instead of hiring a computer technician, systems administrator, and a web developer, they outsource their IT to a Managed Service provider who takes care of all of this for them for a monthly fee. The monthly fee usually depends upon how many computers and servers are being monitored and how much on-site support time you require each month. If your business already has IT support, but they are drowning in current support requests, going with a Managed Service provider can also be advantageous to take the load off your IT department. This can save your company a considerable amount of money since you won’t have the expenses of hiring additional IT staff, and most Managed Service providers offer unlimited remote support. We'd love to be your Tulsa Managed Services provider! Do you offer ad-hoc ("as needed" IT support) agreements? Absolutely. We recognize that some companies don’t need a lot of supplemental IT support or just don’t rely on IT enough to justify the cost of an unlimited support plan. We do offer ad-hoc agreements that will provide your business with deeply discounted remote and on-site support. Contact us today at 918-544-2500 for more information. Are your Web Development and SEO (Search Engine Optimization) services included in the Managed Service pricing? The short answer to this is no, but we do provide a few exceptions. If you need a full scale website built, we can certainly do that remotely, but we cannot cover it under your unlimited remote support Managed Service Contract. If you already have a website and need maintenance, such as installing a Wildcard SSL Certificate, we can do that, and it is included in your unlimited remote support plan. We definitely work hard to please our clients and will try to accommodate as much as we can under your remote support plan. What exactly do you offer to your clients under a Managed Service contract? All Tulsa Managed Services are not created equal. First and foremost we provide excellent IT support service remotely and on-site for a small monthly fee. This includes 24x7 monitoring of your computers, server, network, and website. This allows you to focus on running your business and not worry about IT problems. With 24x7 monitoring, we will instantly be alerted to any suspicious activity, viruses, malware, computer and network errors, website problems, and much more. With this we are able to proactively prevent most problems that cause businesses to be down and lose money due to IT issues. We can also include a backup and disaster recovery plan for your business. In the event that a virus, malware, or ransomware does sneak past our detection, will always have incremental backups to restore your workstations and servers to a previous date and time. We will also recommend and provide antivirus solutions, perform a network security audit, and much more to make sure your business stays up and running. Getting started with one of our Managed Service plans is easy! We offer free consultations and quotes. Call us today at 918-544-2500 or send us an email at [email protected]. We’d love to hear from you! The on-boarding process is painless. We’ll come on-site and perform an audit using information we discussed and create a tailor-made plan just for your business. Some of our first steps will be making sure your computers and servers are secured with antivirus and installin our agent that will report back information to our servers so we can monitor for any problems and help prevent them from happening. What if I want to cancel? Is there a commitment? We offer our Managed Service plans on an ad-hoc basis and on contracts from as little as six months. Signing a contract with us will provide your company with steeply discounted rates and bonus on-site support hours. However, even if you do sign a contract with us and find out you’re not happy with the service we provide, will either make it right or let you cancel without penalty if we can’t remedy the problem. Other Tulsa Managed Services might try to lock you down for years in a contract--not here.